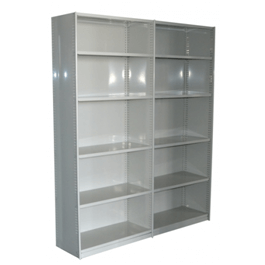 RUT shelving is roll-formed from premium pre-painted steel, to ensure durability and engineering integrity for storage applications. We offer it in a standard height of 2210mm, a standard width of 914mm and a variety of 305mm, 381mm and 457mm depths. The R.U.T Shelving comes powder coated SAHARA.